The Independent Municipal and Allied Workers Union (IMATU) will again meet with members of the Inkosi Langalibalele Municipality management team on Monday, 18 March 2019 at the Municipal Council Chambers. This engagement will be facilitated by the CCMA, discussions will relate to the financial status of the municipality and job security of employees. 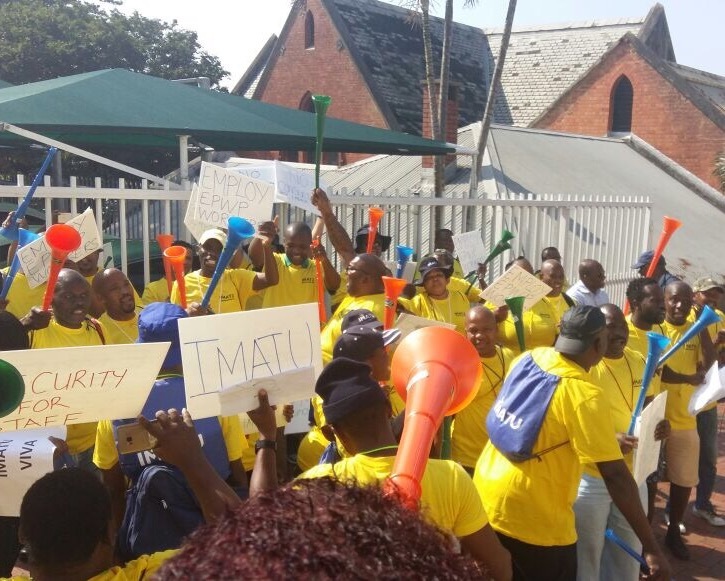 IMATU succeeded in halting the intended mass retrenchment of municipal workers last month. While the Municipality’s organogram makes provision for close to 1000 employees, it currently only employs 598 people and gave notice of its intention to retrench 248 of these employees late last year. The municipality was placed under Administration by the Department of Cooperative Governance and Traditional Affairs (COGTA) in 2017 and its financial problems have gotten progressively worse. The Administrator, who initiated the mass retrenchment process, resigned in December 2018. IMATU met with the newly appointed Administrator on 27 February 2019 to discuss the municipality’s current financial position. 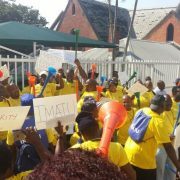 IMATU members will peacefully picket outside the Council Chambers during their lunch break to highlight the severity of their situation and the financial mismanagement that has been allowed to take place. “IMATU will vehemently oppose any threats to the conditions of service or job security of our members. Retrenchment of workers is a short-term solution to the systemic problems facing so many of our municipalities. A clear, sustainable solution must be found that addresses inefficiencies but most importantly tackles the real problems of poor planning, intermittent leadership and financial irregularities,” concluded Botes.